For years, Gord Pyzer has been an impartial voice for fishing throughout much of Canada, often walking the delicate line of subject matter between preservation and exploitation of fisheries. Recently, Pyzer was again on his game as he reported on a study conducted by Dr. David Phillip of the University of Illinois, from which much of the data came from Canadian waters. The study will not be without criticism � specifically from the fisheries management community of the U.S. � as it explores the delicate issue of fishing for spawning bass and how such efforts affect fish populations. Once more, it dispels an overwhelmingly popular theory of fisheries managers that natural ecosystems �compensate� for influences caused by man, often viewed as the smoking gun of current management practices. Phillip and his cohorts specifically set out to determine the effect of angling pressure on spawning bass, and the impact fishing has on overall recruitment within a population. Their initial measure was to determine the impact of removing male bass from the role of brood protectors, commonly referred to as �fry-guarders. "Here, Phillip�s study concluded that removing the adult male guarder led to 100-percent loss of the brood. Catch-and-release angling contributed to a large loss of fry as well, and angling pressure alone was often responsible for nest and brood abandonment by adult bass, again leading to 100-percent loss. 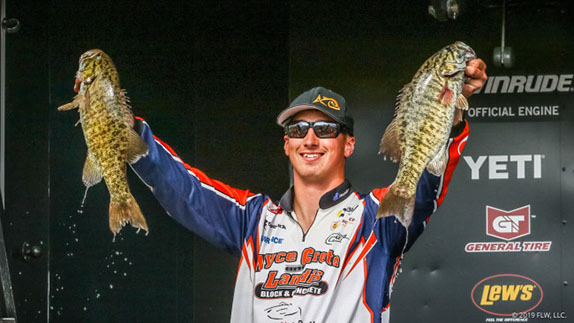 Pyzer�s article also addressed the concept that angling pressure alone isn�t likely to cause a major impact on entire bass populations due to the overall low effort when compared to nature�s vast procreation efforts. The study challenged such notions by allowing angling pressure by fishermen who had never seen the test lakes. 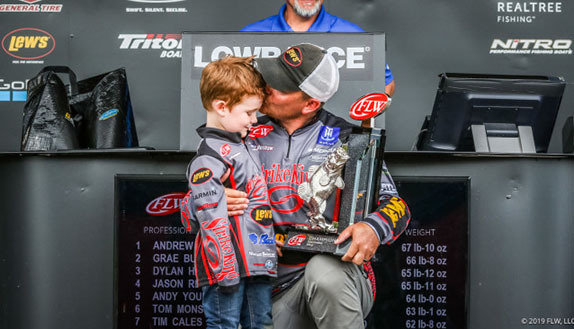 Astoundingly, nearly 50 percent of all largemouth and over 60 percent of all smallmouth within the test area were caught by the anglers on their first pass through an area. More than 95% were guarding male bass. A second test was performed on a 150-acre lake. Here, eight anglers rotated throughout the lake and were able to catch two-thirds of all the nesting smallmouth in the entire lake in about an hour. Let�s take a step back and review what we�ve learned thus far. First off, it�s evident that bass in the study were easy to catch when guarding the nest or their brood. And, as we�ve learned more and more over the last decade, removing male bass from the nest, even for just a few minutes when practicing catch-and-release, often leads to total nest failure. Secondly, it�s becoming apparent that today�s anglers are much more efficient at catching a larger percentage of the bass population than ever before. Frequent readers here likely recognize my viewpoint on the efficiency of anglers in Northern fisheries, where cover is often thin and bass very aggressive. 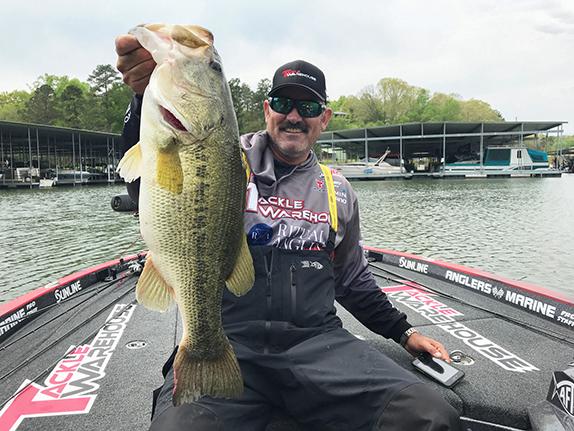 As I�ve stated, it�s very likely that just a few anglers can easily catch nearly every spawning bass throughout massive areas of these lakes � Phillip�s data suggests that for the test waters. When confronting scientists within the management community on such subjects for decades � many of whom are also avid bass anglers � the �go-to� argument has always been one based on nature�s ability to compensate for dire times. While this is unquestionably the case in many circumstances, the same principle may not hold water when it comes to spawning bass. What we�ve become conditioned to believe is that a certain percentage of the bass population won�t normally spawn but, when the nesting ability of other bass is jeopardized, those members of the group kick things into gear in order to maintain balance and positive numbers. To conclude, according to the study conducted by Dr Phillip and his crew, bass were easily caught off the nest, and doing so often wiped out a particular brood. In some cases, enormous segments of the bass population could be easily caught by a few anglers. Furthermore, doing so negatively impacted the overall population of the test lakes. Sounds pretty cut and dried. However, it�s important to consider the test waters. As mentioned, it�s vastly easier to target spawning bass on certain types of fisheries. My previous home in the clear waters of the North were a prime example, but I can take you to fisheries in the South where bass are spawning by the hundreds and you�ll never see one. Big difference. Also, seldom or never-fished �test lakes� are far different than those in much of the real world. Again, I can take you to places where you�ll see dozens of bass spawning, and you�ll never catch any. Furthermore, oftentimes bass attempt to spawn more than once a year, a factor not addressed from what I can see. Finally, it�s important to review numerous studies on the matter. The Florida Fish and Wildlife Commission continues to investigate these issues, and has reported far different results. I went along on one of their snorkeling studies and was enthralled by their level of commitment to this issue. To conclude, I spent more time this spring observing spawning bass than ever before, and I witnessed things I�ll never forget. Aided by Aqua-Vus and GoPros, I watched in amazement as an 11-pound bass shuttered and rolled, displaying a rainbow of iridescent colors, trying so hard to add her contribution to nature. Such an experience brought a whole new level of appreciation for these magnificent creatures. Once you witness that, fishing becomes secondary.